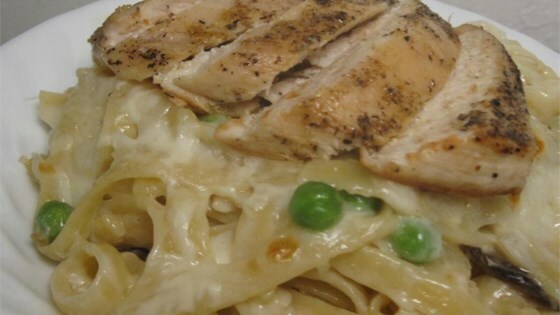 "This baked fettuccine dish is cheesy, and creamy, and comes out perfectly every time. Try using Asiago and provolone in place of the Romano and mozzarella!" I used this recipe as a starter, I used milk instead of heavy cream. Then to cook it I covered it with foil which kept it from drying out. This is a keeper. I have made this recipe several times and my family loves eating it. I add a little parsley to the top and use only freshly grated cheese.